You're Going to Like "Isn't It Romantic." 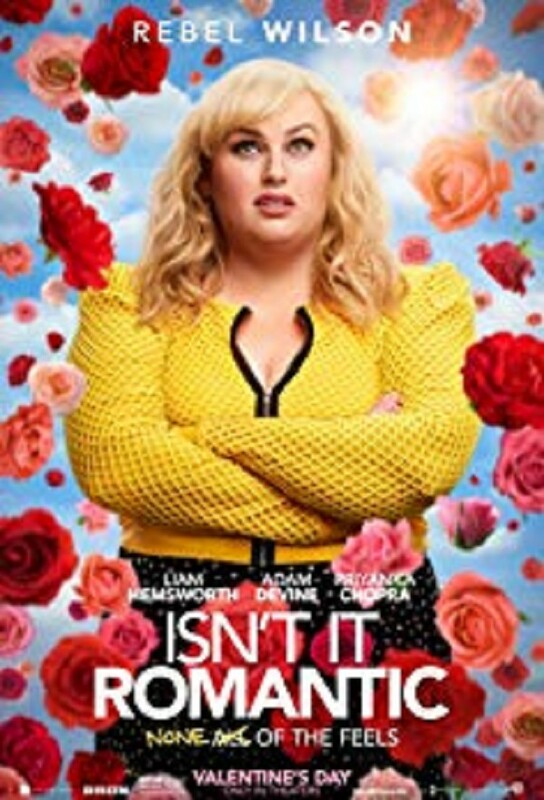 I saw "Isn't It Romantic?" Nice show. It's predictable but fun. A friend of mine described it as "a romantic comedy that's a parody of a romantic comedy." I really like Rebel Wilson. She played Natalie, a successful architect working for a small company. Her best friend, Josh, played by Adam Devine works there also. Betty Gilpin is her assistant Whitney. Natalie is too nice. She doesn't assert herself enough, which makes it difficult in a male-dominated field. She gets mugged in the subway and knocks herself out cold. She wakes up in the hospital where everything is "too nice." She gets to her apartment and that's too nice also. Her whole world has turned into a romantic comedy. The seagulls are flying in a heart shape, the colors of New York are sharp and bright and people are dancing in the street. Of course, she gets flirted with by the handsome Liam Hemsworth. It's fun to see how it all works out for her. Pay attention to the argument that Natalie and Whitney get into about romantic comedies. You will see how their descriptions get worked into Natalie's new world. MOVIE REVIEW: "Cold Pursuit." .... A Very Good Movie.